Buy online CP2103 SMD USB-to-TTL Bridge Controller in India at low price from DNA Technology, Nashik. The CP2103 is a highly-integrated USB-to-UART Bridge Controller providing a simple solution for updating RS-232/RS-485 designs to USB using a minimum of components and PCB space. 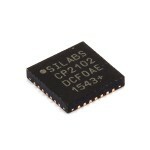 The CP2103 includes a USB 2.0 full-speed function controller, USB transceiver, oscillator, EEPROM, and asynchronous serial data bus (UART) with full modem control signals in a compact 5x5 mm QFN-28 package (sometimes called “MLF” or “MLP”). No other external USB components are required. 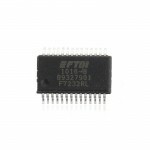 The on-chip EEPROM may be used to customize the USB Vendor ID, Product ID, Product Description String, Power Descriptor, Device Release Number, and Device Serial Number as desired for OEM applications. The EEPROM is programmed on-board via the USB, allowing the programming step to be easily integrated into the product manufacturing and testing process. 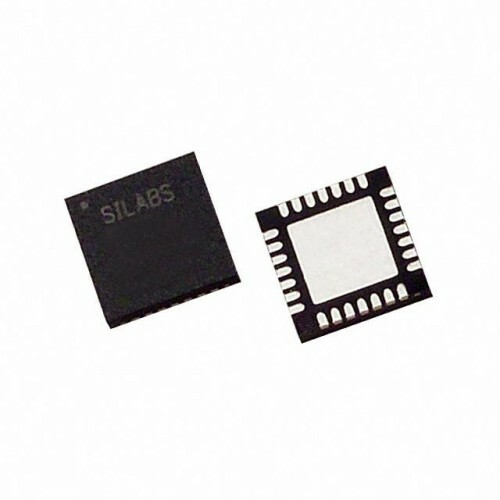 Royalty-free Virtual COM Port (VCP) device drivers provided by Silicon Laboratories allow a CP2103-based product to appear as a COM port to PC applications. The CP2103 USB to UART interface implements all RS-232/RS-485 signals, including control and handshaking signals; so, existing system firmware does not need to be modified. 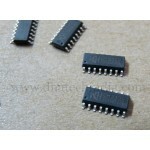 The device also features up to four GPIO signals that can be user-defined for status and control information. Support for I/O interface voltages down to 1.8 V is provided via a VIO pin. 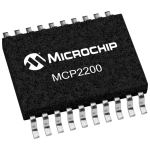 MCP2200 USB 2.0 to UART Protocol Converter with GPIOThe MCP2200 is a USB-to-UART serial converter wh..
CP2102 USB to RS232 ModuleWant to connect modules like GSM, GPS, RFID reader etc which have RS232 ou..
FT232 USB to TTL chipWant to convert TTL data into USB & vice versa? Well then this FT232 USB to..
CP2102 SMD USB-to-TTL Bridge ControllerThe high-performance, low cost CP21xx USB to UART bridge fami..